The shoulder joint is a unique joint in that it is stabilized largely by the muscles which surround it. While most joints are stabilized heavily by ligaments the shoulder joint has much less ligamentous support in comparison. The shoulder joint has an exceptional range of motion allowing us to perform a wide variety of tasks with our arms and hands. Unfortunately with the unique architecture and varied use of the shoulder joint can come a variety of injuries. 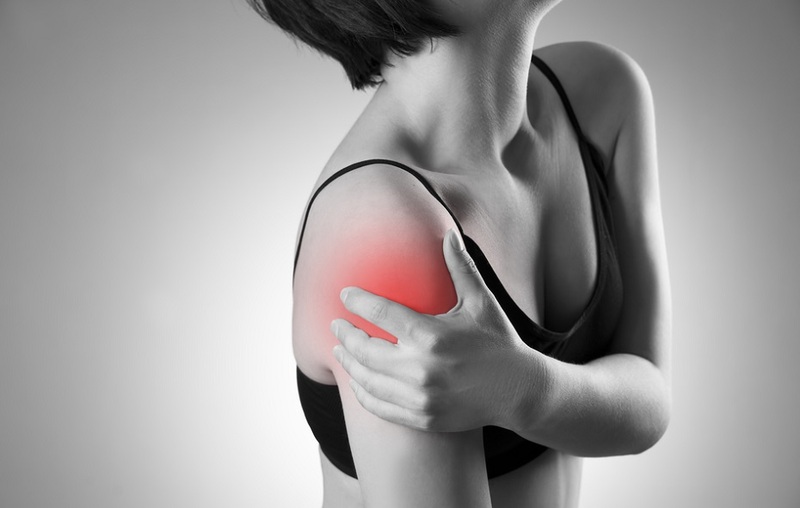 Frozen shoulder is typically felt as pain and immobility of the affected shoulder. Pain is experienced differently by different people but pain while moving the shoulder or arm and poor mobility are the hallmarks of frozen shoulder. Adhesive capsulitis, otherwise known as frozen shoulder, is a common injury whose cause is suspected to be swelling of the capsule surrounding the shoulder joint. This swelling is suspected to cause restriction of the tendons and muscles surrounding the joint. This proposed restriction is thought to limit mobility of the shoulder joint and lead to the “frozen” condition which the shoulder ends up in. Diagnosis of frozen shoulder is made through physical exam, orthopedic testing and history taking. Imaging such as an x-ray or MRI may be used to rule out other possible conditions such as arthritis, a labral tear or tearing of one of the rotator cuff muscles. Conventional treatment of frozen shoulder typically involves anti-inflammatory medications to control pain and range of motion exercises to improve shoulder mobility and strength of supporting musculature of the rotator cuff. Surgery for frozen shoulder is not commonly performed but an injection of sterile water or a corticosteroid may be used in order to reduce adhesion or inflammation of the affected shoulder. Neural prolotherapy is a treatment which involves a shallow (subcutaneous) injection of a 5% dextrose (sugar) solution under the skin. This treatment focuses on relieving pressure on an impinged nerve by creating a hydrodissection (water pillow) in the surrounding area. The dextrose solution also downregulates the TRPV1 receptors on the surface of the nerve. These are the receptors which sense pain on the surface of the nerve. In my experience neural prolotherapy has been an excellent treatment for the pain and lack of mobility of frozen shoulder. Read more on neural prolotherapy. Platelet-rich plasma uses platelets from a person’s own blood to treat painful conditions. The natural abundance of growth factors in platelets are the trigger which induces and encourages healing in platelet-rich plasma treatment. Although no clinical trials have investigated the use of platelet-rich plasma for frozen shoulder a case report has been published showing encouraging results with improved mobility and pain1. Aslani H, Nourbakhsh ST, Zafarani Z, Ahmadi-Bani M, Ananloo ME, Beigy M, Salehi S. Platelet-Rich Plasma for Frozen Shoulder: A Case Report. Arch Bone Jt Surg. 2016 Jan;4(1):90-3.